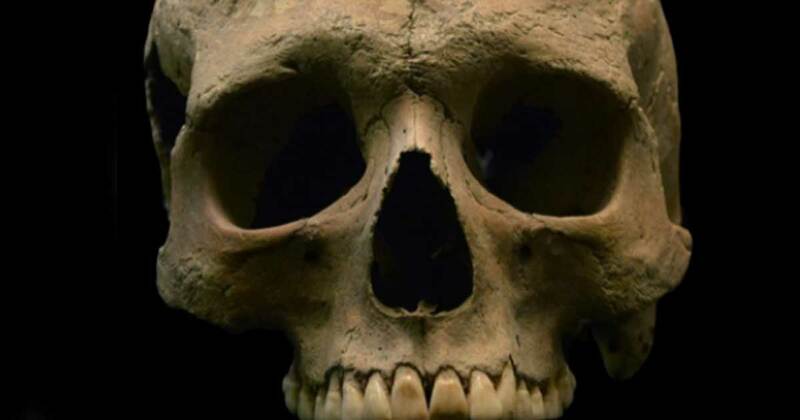 Biologists and other academics have long debated whether there was malaria in ancient Rome, and recent analysis of teeth of human remains from the time has confirmed it, says a story just published by some researchers in the journal Current Biology. Some researchers from McMaster University in Ontario, the University of Pennsylvania, the National Museum of Prehistory and Ethnography in Rome and Sydney University in Australia authored the article after examining DNA from teeth of 2,000-year-old human remains from three ancient cemeteries. They found the answer in mitochondrial DNA from bodies in the three cemeteries in Italy dating to the imperial period of Rome from the 1 st through the 3 rd centuries AD, according to a December 5 article about the research in Newswise. The cemeteries were from various places on the peninsula, so this research helps address questions of whether the parasite was pervasive in this ancient civilization. Further, such genomic evidence is important to understanding where and when the parasite was present in humans and helps scientists better understand the evolution of this disease and other human diseases, Newswise states, quoting some of the researchers. “Malaria was likely a significant historical pathogen that caused widespread death in ancient Rome,” says evolutionary geneticist Hendrik Poinar, director of McMaster’s Ancient DNA Centre, the site where researchers isolated the DNA from the teeth of the three ancient bodies. The disease of malaria caused by its parasite Plasmodium falciparum , can be serious and even fatal. The parasite is spread by mosquito bites. It still causes about 450,000 deaths a year, most of them children under age 5 whose bodies aren’t as strong and as able to withstand disease as adults. “There is extensive written evidence describing fevers that sound like malaria in ancient Greece and Rome, but the specific malaria species responsible is unknown,” said Stephanie Marciniak, a former post-doctoral student in the Ancient DNA Centre and now a PhD. scholar at Pennsylvania State University. “Our data confirm that the species was likely Plasmodium falciparum , and that it affected people in different ecological and cultural environments. These results open up new questions to explore, particularly how widespread this parasite was, and what burden it placed upon communities in Imperial Roman Italy,” she added. Ms. Marciniak took samples from the teeth of skeletal remains of 58 ancient adults and 10 children interred at three Imperial period Italian cemeteries: Isola Sacra, Velia and Vagnari. Velia and Isola Sacra are on the coast and were important ports and trading centers. Vagnari is inland, and scholars think its cemetery was the burial site of laborers who worked on a Roman estate in the countryside, Newswise states. She and other researchers used techniques McMaster researchers and others abroad developed to mine tiny, usable DNA particles from dental pulp. Using a painstaking process she extracted, purified and enriched the Plasmodium species that infects people. The process is difficult, but it was also difficult because parasites live primarily in the blood and organs, especially the liver and spleen, which rapidly break down and decompose. P. falciparum is still the most prevalent malaria parasite in sub-Saharan Africa and the most-deadly anywhere and kills more people around the world than any another malaria parasite. “Marciniak, Poinar, and Tracy Prowse from McMaster, alongside Luca Bandioli from the Luigi Pigorini National Museum of Prehistory and Ethnography in Rome and Edward Holmes from the University of Sydney recovered more than half of the P. falciparum mitochondrial genome from two individuals from Velia and Vagnari,” the press release states. Good article with many relevant facts. Malaria is one of the disease that some historian postulate was one ofthe reasons Atilla the Hun chose to return home when he invaded Italy. The other is typhoid. Read more about The Cold Case of Alexander the Great: Have Toxicologists Finally Explained His Untimely Death? Read more about Who or what killed Alexander the Great?